Divinity and our belief in the almighty give us peace, happiness and positivity. It also teaches us to be humble and good to our fellow human beings. But then how is it, that some of us forget this teaching and differentiate between people based on something as trivial as complexion? "The beauty of Goddess Lakshmi is resplendent as the sun, with her lustre like fire and radiance like gold. She brings material and spiritual prosperity to those who invoke her grace." 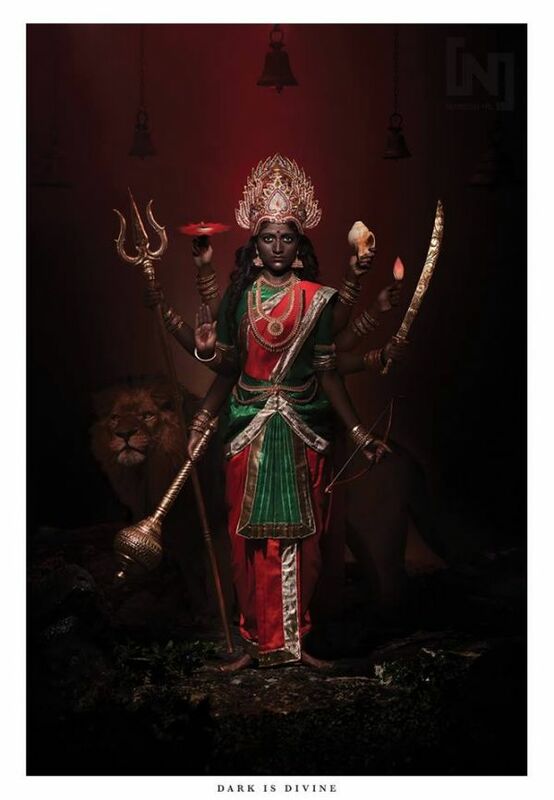 "Goddess Durga, the supreme power. 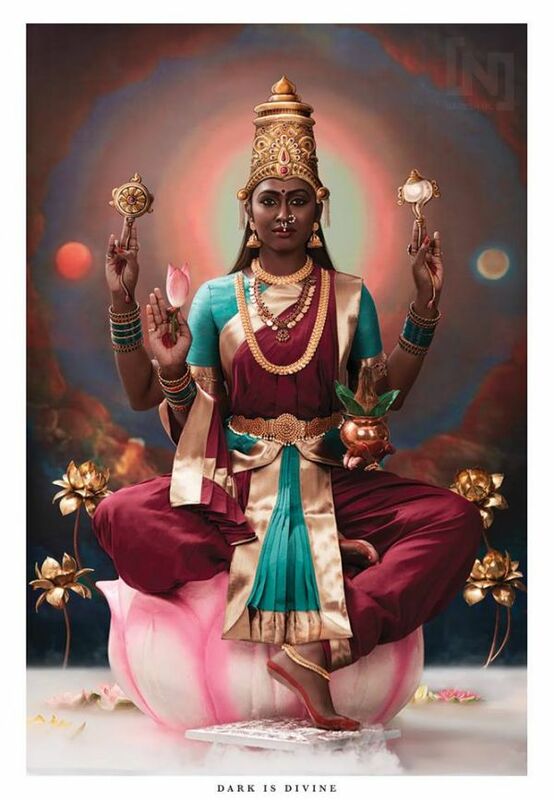 She has been depicted here as dark skinned and looking resplendent as she restores peace and harmony in the universe." "This incredibly pleasing and divine depiction of Mother Sita, with her children, Lava and Kusha shows the three surrounded by peace and tranquility, with the love of the Mother towards her children and their adoration for her shining through." 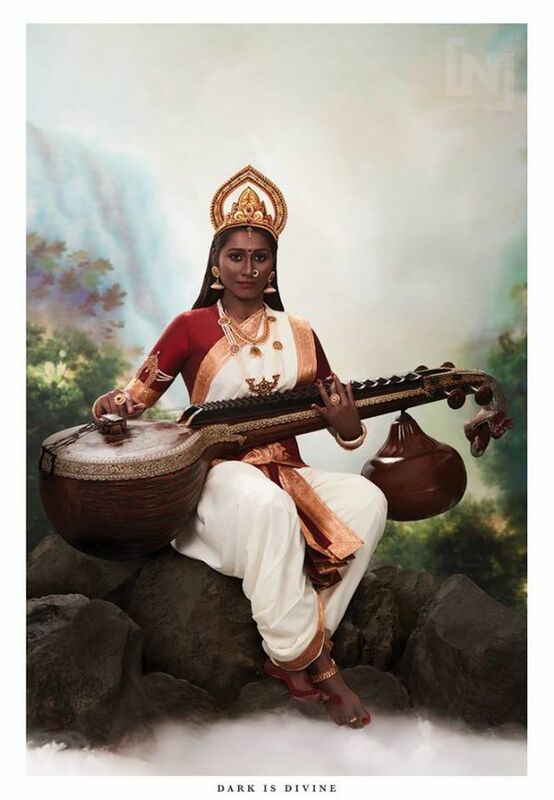 "Goddess Saraswati’s purity is as boundless as the knowledge she bestows on the world. Her lustre is divine in all her forms and her grace guides mortals to attain consciousness, cosmic knowledge and moksha." 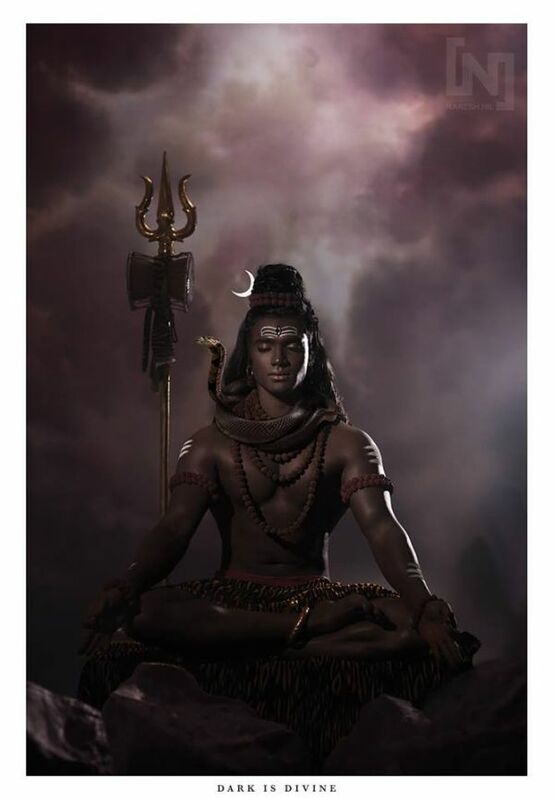 "Lord Shiva is boundless, with no beginning or end. He is revered in various forms, colours and names, and here he has been depicted as dark-skinned, deep in samadhi, in his transcendental, all-embracing form." 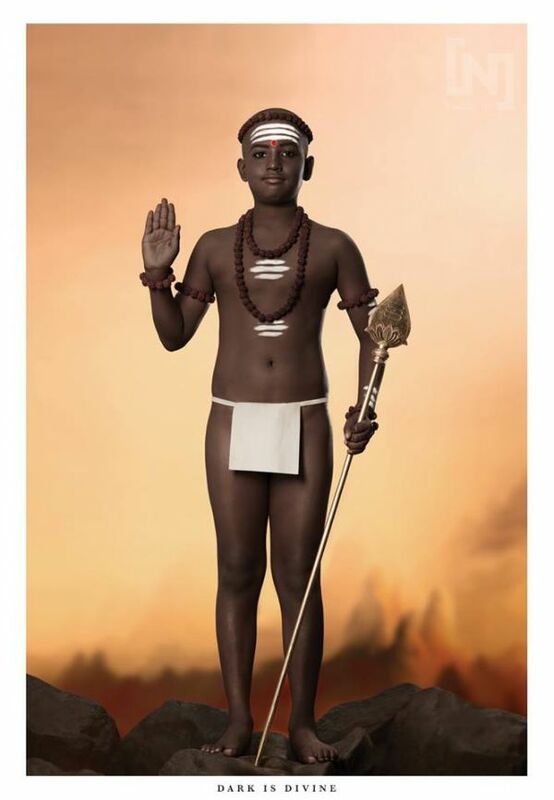 "Bala Murugan is a form of Lord Subrahmanya, depicted here in his assumed form as a young recluse, dressed modestly, without fineries and shorn off his looks. Shown as dark-skinned, his serenity is reflected through his being." 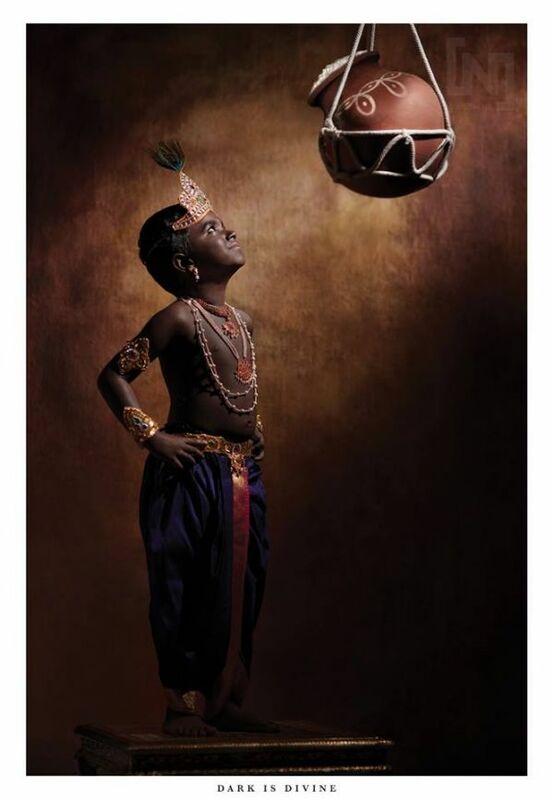 "With the entire universe residing within him, Bala Krishna is depicted as dark-skinned here, with his innocence and playfulness shining through as he looks towards the pot of butter. His leelas are divine and he is beautiful in all his forms." 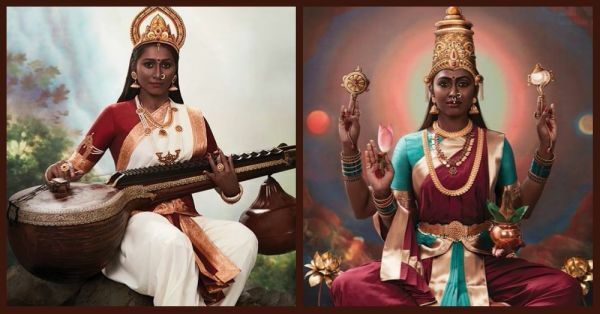 This is the most beautiful re-imagined version of our Indian deities we have ever seen. 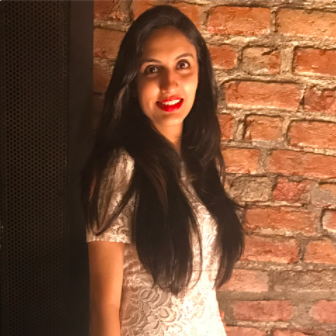 Kudos to Naresh and Bhardwaj!